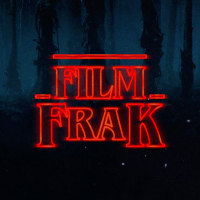 FilmFrak moves into the future with our premiere Skype Video Podcast Interview. This interview special we are joined from across the pond by the talented Author, Screenwriter and Director Andrew David Barker. It was an absolute pleasure having a natter to the filmmaker of the lost 2011 work A RECKONING (Discussed on Episode 19 of the FilmFrak podcast). A gifted cinephile excited about craft, interpretation and all that film can achieve, we talk about realizing your artistic vision only to lose out on the industry commerce side…but this is no tale of woe, it’s about working hard for your dreams and following your inspiration to a life of creation. A RECKONING announces a promising new Director in Andrew David Barker and we will be keeping an eye out for what comes next. In the meantime we hope you enjoy the interview and once you’re done be sure to check out the full Feature Length film A RECKONING at the bottom of the page.